Yuxiang can supply various types of high accuracy stone machine tool devices, such as granite cutting machine, marble cutting machine, stone cutting machines, gyroidal stone cutting machine, column slab cutting machine, edge cutting machine, multi blade cutting machine, slicing machine, single blade gang saw, solid column cutting machine, profile shaping machine, etc. 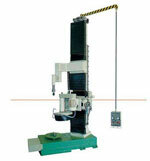 Granite cutting machine has a range of different types. In this web, there are Gyroidal Stone Cutting Machine, Column Slab Cutting Machine, Edge Cutting Machine For Arc Slate, Multi Blade Cutting Machine, Gantry Cutting Machine, Slicing Machine type, profile shaping machine, single blade gang saw, gyroidal stone cutting machine, and solid column cutting machine. Except the granite cutting machine, also the marble cutting machine and stone cutting machines are quantity for your choose. High Performance, High Precision, and high Power automated are provided with granite cutting machine. Marble cutting machine is convenient and efficient in operation, helpful for environmental protection and energy saving, and beneficial to comfortable and safe operations. The features of solid structure, fast cutting, less power consumption, high capability, stable performance and low failure rate are posses by this stone cutting machine. Yuxiang offers a variety of granite cutting machine for engineers and through the web Search the stone cutting machine can be searched for the exact specifications needed. Our experience of making granite cutting machine allowed us to develop it to reach its construction quality, technical features and use of selected materials.